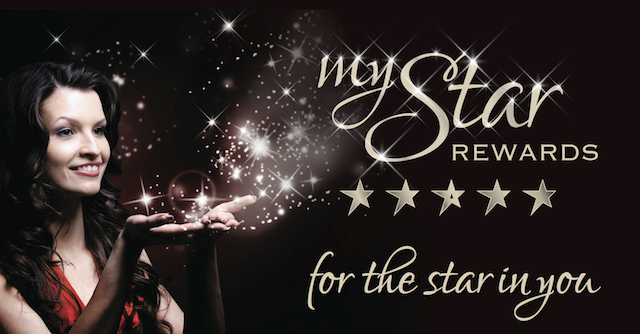 myStar Rewards offers five levels of special privileges and rewards. By using your Membership Card around the Club, you can build up a balance of Status Credits which determines the level you are on. The more Status Credits you earn over a 6-month rolling period, the higher the level you will achieve and the more privileges and benefits you will enjoy. * Excludes TAB, Keno and Raffles. For Functions & Bottleshop, refer to item 19 in T&C. ** Discount is applied when paying the full transaction amount with points. † If registered as a mail contact. # Includes Hot Beverages, bottled soft-drink for Diamond level and post-mix soft-drink for Platinum level. Limits apply.